To any person passing by, Lake Pleasant may seem like just a lake created by a dam. However, a lot of the past lies underwater and in other places around Lake Pleasant Regional Park. Area controlled by the Northeastern Yavapai during the historic period around Lake Pleasant, was inhabited by the Hohokam People during the prehistoric era. 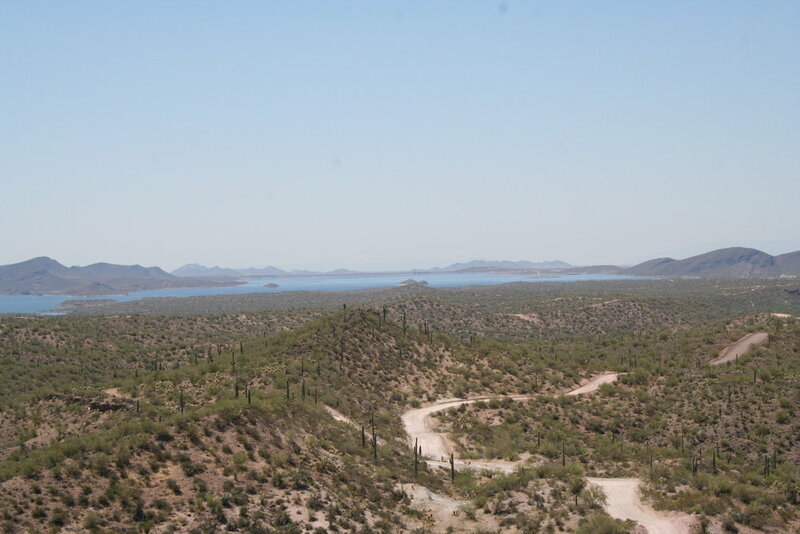 Evidence of this, seen in five archaeological sites throughout the park, which were located during an archaeological study of the area around Lake Pleasant. A defensive site, stone workshop, farmhouse, and two small villages were just some of things discovered in the area. Many more sites were present near the Agua Fria River however, they were covered by the formation of the Lake. The five sites were occupied from about 700-1450 A.D. One restriction the Ancient Indians faced was the high bluffs that rise sharply out from the river bed. This restriction limits the space available for habitation and agricultural use. However, despite this, this area was heavily populated during prehistoric times as there are sites on almost every flat area close to the river. Mining in this area was attempted, however the only thing prospectors found was frustration. The few mines that existed, collapsed. Castle Hot Springs however, was discovered by Mollie Monroe, an eccentric prospector along with her husband and others in the 1860's. She was later sent to a mental hospital in California and declared insane. At about the same time Castle Hot Springs was discovered, a man by the name of Jacob Snively, a man with great energy, was a prospector in Arizona and California and is said to lead part of the Texas Revolution, was killed by an Apache chieftain in 1871. This took place place near the White Picacho, about 18 miles northwest of the lake. Lake Pleasant Regional Park. Maricopa Parks & Recreation, n.d. Web. 21 Mar 2010. <http://www.maricopa.gov/parks/lake_pleasant/History.aspx>.